Integrated management of both publication media and product information! Many retail store locations, many products to handle, lack of database management system... Use KAMI-WAZA to smartly manage complicated production data. KAMI-WAZA can support you with management and editing of information by managing a large number of products, text data for production and variations in the production contents for every retail branch location. Improve efficiency easily by using KAMI-WAZA for information management work that required much labor and was causing organizational stress in the past. Easy management of vast amount of variations! Central management of text, image and other data. Data will never be lost. 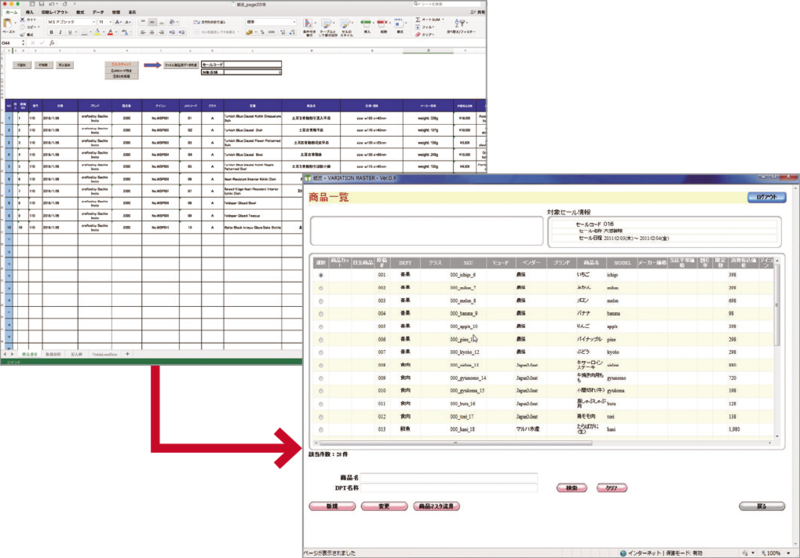 Item indexing of registration information can be tailored freely, so it is easy to create data that is manageable by types of work. Data can be mass imported from Excel sheet all at once or can be typed in and edited separately. 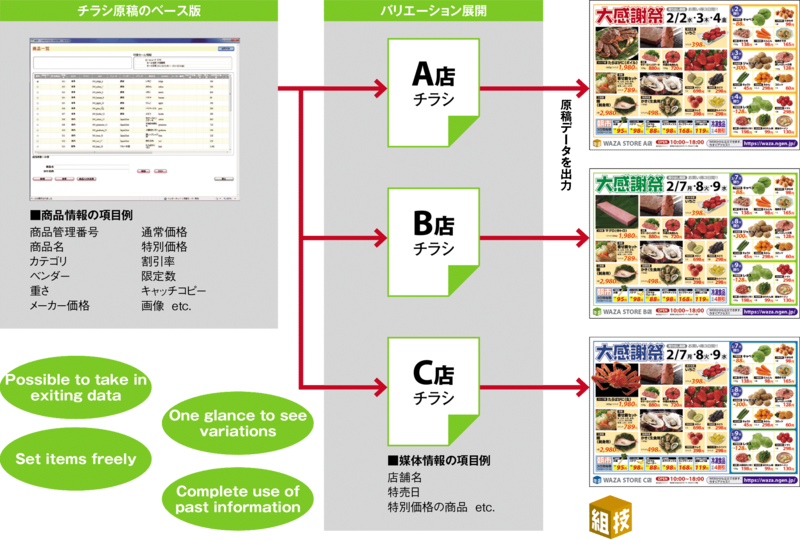 You can freely design index of your complex information. You can freely organize the data structure and they can be easily managed according to your use and/or needs. 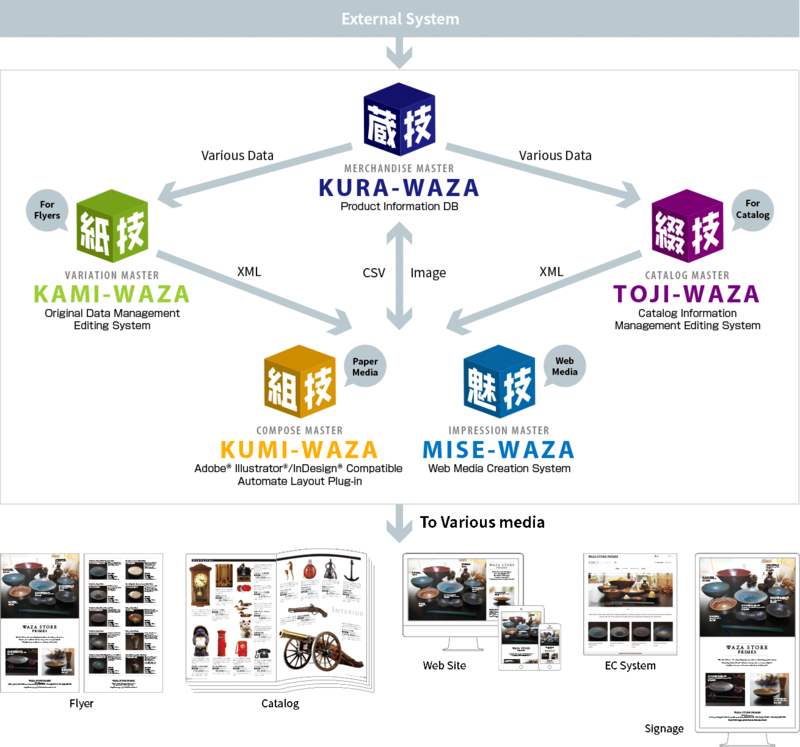 KAMI-WAZA server can also store pictures and figures in addition to text information. If the filename of product image is associated with a product, the image is automatically associated with the registered product. You can also upload multiple images at once. Easy management of complex stored data. KAMI-WAZA will help you manage merchandise information and variations of production contents. Comprehensive display is also a plus.